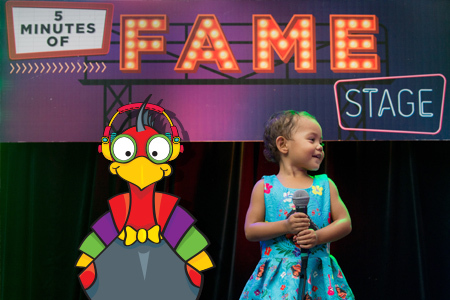 At this year’s festival, children from around the region have an awesome opportunity to perform live on the fully produced ‘5 Minutes of Fame Stage’. This professional stage has everything you need to put on a fantastic performance – technician, PA, microphones and lights. Whether it be dance, music, acting, circus, comedy, singing or magic - if you have a talent and would like to show it off, register for your 5 minute slot online at www.tanksartscentre.com.au or you can register on the day.